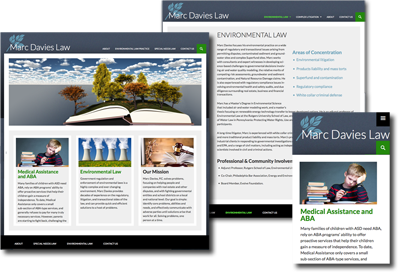 Opening a new law practice, Marc wanted a website that can bring clients to his practice. Spurred by his own personal jury with child litigation and his extensive experience with environmental law, Marc was confident that he could start his own law practice. Marc is a skilled writer and speaker. I designed a tasteful website that could serve both areas of practice.